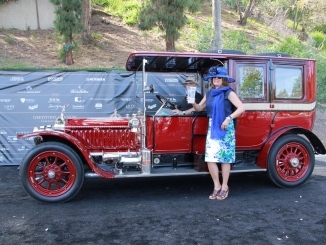 Pictured are Best of Show winners of Greystone Mansion Concours d’Elegance. On the left is Ron Hein’s 1961 Alfa Romeo Sprint Zagato Coda Tronca. To the rightt is Ron and SandyHansen’s 1903Thomas Model 18. Beverly Hills, California – With a full complement of 135 automobiles on display in this year’s concours field, a 1903 Thomas Model 18 was named Best of Show Concours d’Elegance and a 1961 Alfa Romeo Sprint Zagato Coda Tronca was named Best of Show Concours de Sport at the 7 th annual Greystone Mansion Concours d’Elegance held Sunday, May 1, 2016. 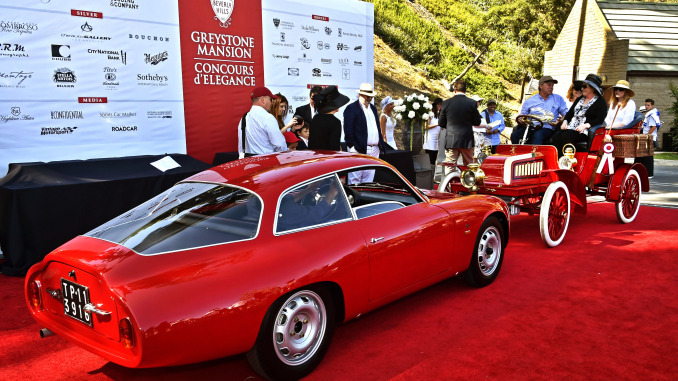 A sold out crowd of thousands of auto aficionados and urban explorers gathered at Greystone Mansion for this elegant event where these exceptional automobiles and more than 20 unique motorcycles graced the historic 18- acre estate in Beverly Hills. A 1939 Brough Superior SS 80 was named Best Vintage Motorcycle, a 1980 BMW R100 was named Best Custom Motorcycle and a 1954 BMW R 51/3 was named Best Preservation Motorcycle. Local artist Richard Pietruska, a highly respected professor at the Art Center College of Design in Pasadena, was commissioned to create custom Greystone Mansion Concours d’Elegance signature awards. The sculptured awards capture the essence of speed and movement of the more exotic automobiles of the past as well as the present. The forms are exaggerated and curved to dramatize the unique character and quality of each automobile as it flows through space. The Greystone Mansion Concours d’Elegance is an annual fundraiser for the Friends of Greystone, a non-profit organization whose mission is the ongoing preservation and restoration of the estate, which is one of a handful of nationally registered historic landmarks in Southern California. 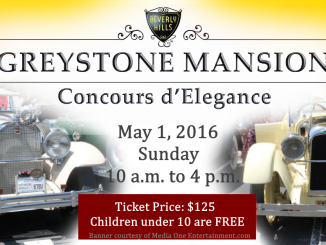 The 8th annual Greystone Mansion Concours d’Elegance is scheduled for Sunday, May 7, 2017 and occurs annually on the first Sunday of May. 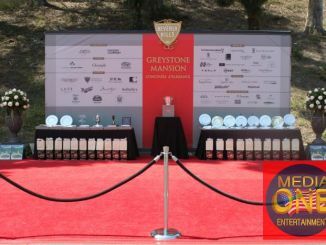 For more information and complete list of winners, please call (310) 285-6830 or visit www.greystoneconcours.org. For media inquiries, contact Dana Beesen at dbeesen@beverlyhills.org or call (310) 285-2530.